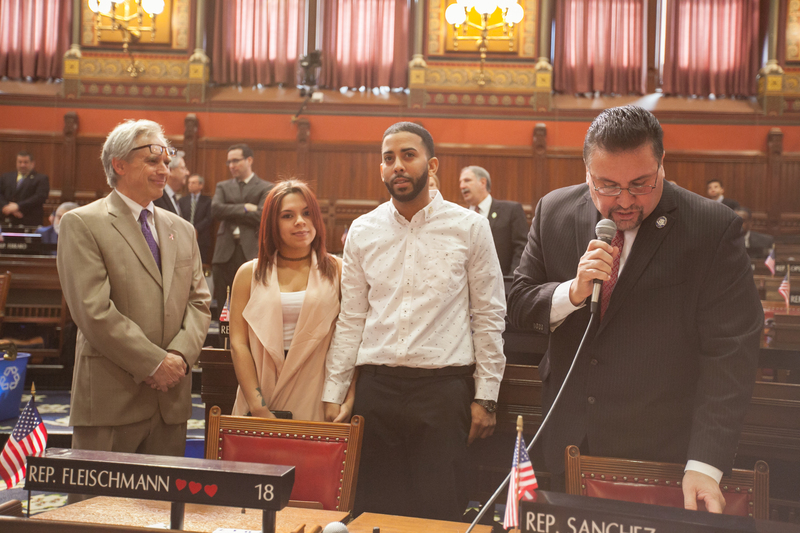 Today, I had the honor to introduce and welcome Mr. Juan Busanet, a local New Britain hero to the House Chamber. This young man, along with a few neighbors, climbed a ladder into a burning building before officials arrived last February, saving a family, including children from a fierce blaze. Watch part of the story here. People like Juan deserve our greatest appreciation and respect. His actions not only showed his courage, but displayed his golden heart. 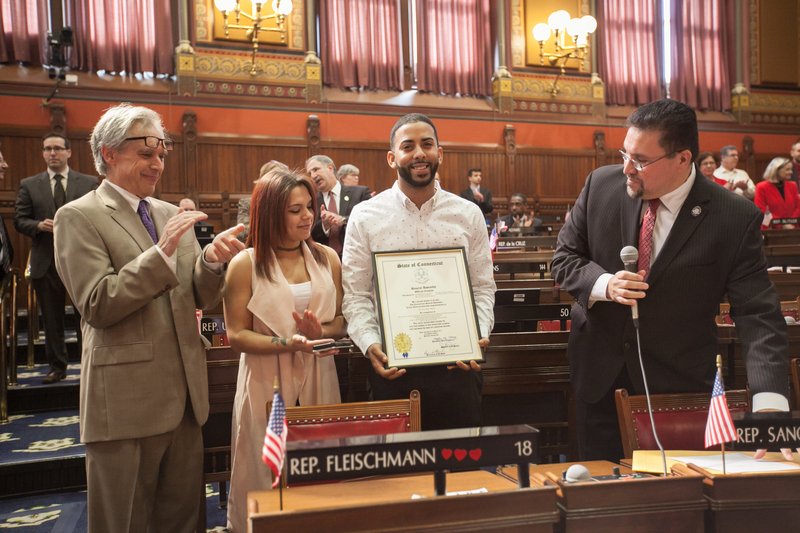 Mr. Busanet was also recognized by the New Britain Common Council and today, I was pleased to present him with a state citation on behalf of our New Britain delegation and the entire CT General Assembly.